As much as I dislike the cold, I love the patterns created in the snow. 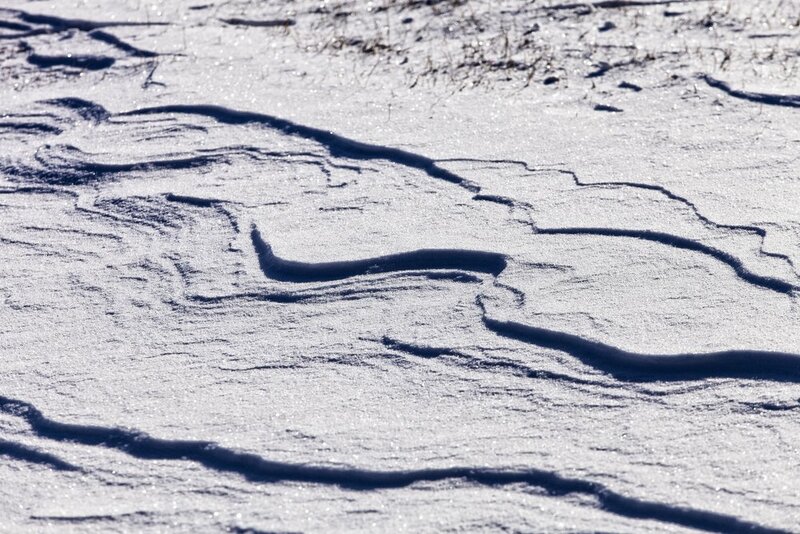 The designs created by the wind, in the untouched snow, are truly amazing. Reminiscent of sand dunes or sandstone cliffs, but far less permanent. Tomorrow they will be disrupted by the hooves of deer or paws of a dog.